Mountain Hardwear Sarafin Cardigan - Mountain Hardwear Sarafin Cardigan - Women's: Mountain Hardwear constructed this cardigan with eco friendly reclaimed wool and then added a polyester and nylon twist for durability. The Sarafin Cardigan features raglan sleeves and a slim fit for a body-hugging, flattering shape. Better Butter jersey fabric-lined collar, cuffs and frontCenter back length is 24.5 inchesFlatlock seamsFull front zipper with chin guard for comfortTwo front hand pocketsRegular fit with full front zipSemi-fittedConstructed of 40% reclaimed wool, 40% polyester, 18% nylon, 2% other Dihedral Birdseye Jersey fabric. Icebreaker Quantum Hood - The Quantum Long Sleeve Hood from Icebreaker is a midweight jacket that’s packed with premium features to keep you comfortable in the cold, weather you’re pounding the pavement or hitting the trails. The Icebreaker Quantum Long Sleeve Hood for women is made from a blend of merino wool and elastane, making it naturally resistant to odor, moisture wicking, breathable and fast drying. An eyelet mesh increases mobility and venting, while a drop tail hem design combines with a fold over cuff to increases protection from the elements. Spyder Endure Full Zip - Spyder Endure Full Zip - Women's: A feminine fit and complimentary design lines have made the Endure a bestselling women’s sweater style in Spyder’s line up. 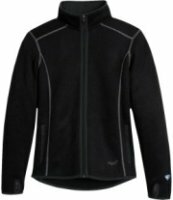 Features a full front center zipper, Mid-Weight Core Sweater material with anti-pilling fleece backing, and concealed zippered hand pockets. Constructed of polyester mid weight sweater knit with anti-pilling fleece backing. Spyder embroidered logos. Reverse coil center front zipper. Concealed zippered hand pockets. Import.. 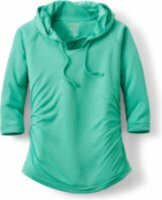 The North Face Half Dome Hoodie - This hoodie will keep you not only cozy, but cute too!Designed with athletic-inspired ribbing at the cuffs and hem, the Half Dome Hoodie is a classic pullover for cool weather excursions. Contrasting color logo is screen-printed at chest. 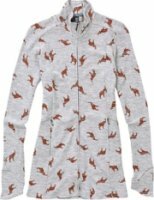 Made from soft, comfortable, easy-care fabricHood with drawstring closures it features Kangaroo hand pockets and a hood with drawstring closures. Destined to become an everyday favorite. Created with a tapered fit (more on that in a second), The North Face Half Dome Hoodie for women is a warmer, faster-drying and more resilient alternative to 100% cotton sweatshirt hoodies. Dale of Norway Peace - A design inspired by the Winter Olympic Games in Torino, Italy, the Women’s Peace Sweater from Dale of Norway has an eight-petaled rose over the heart and a big dose of beautiful design flourishes to bring home the games' theme of "Peace and Harmony." Pull it over your head, pull the uniquely crafted zipper charm to your neck, and enjoy the sleek fitted cut, and the luxury of fine wool. Spyder Major Cable Sweater - Spyder Major Cable Sweater - Women's:The always-popular Spyder Major Cable CORE Sweater sheds new light on classic sweater construction with a unique, cable knit texture – it's a three-season, easy-to-wear piece you won't hesitate to grab. Features include a reverse coil center front zipper, concealed zippered hand pockets, and Spyder embroidered logos. Cute with ski pants or jeans. Anti-pill fleece stays looking new longer100% polyester cable knit exterior fabric100% polyester fleece liningConstructed of polyester cable knit with anti-pilling fleece backing. 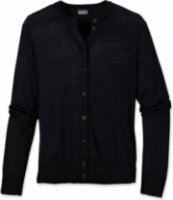 Patagonia Merino Cardigan - The Patagonia Women’s Merino Cardigan is a hip length sweater for chilly walks in any season. The 100% merino wool is soft and fitted for casual nights out on the town or a fireside conversation. 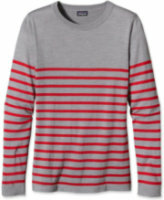 Dress up this lightweight crew neck sweater with a skirt or keep it casual with jeans. FEATURES of the Patagonia Women's Merino Cardigan. SPECIFICATIONS of the Patagonia Women's Merino Cardigan. Extra-fine merino wool responsibly sourced from Patagonia grasslandsFine rib-knit at cuffs and hemFitted long sleevesSlim fitHip lengthMade in China. Prana Lucia Sweater - FEATURES of the Prana Women's Lucia Sweater. SPECIFICATIONS of the Prana Women's Lucia Sweater. Fitted upper, high hip length and extra long sleeves. Standard fitDrawcord-closing collar.42 polyester / 35 recycled wool / 17 nylon / 5 acrylic / 1 other fibersWool blend features a sweater knit exterior and brushed polyester interior in a cropped fit. Approximate length is 26. Made in ChinaCombo stripe and solidWorkable bottom buttons. Interior brushed tricot trim. 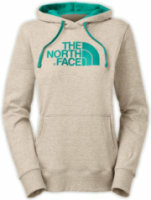 The North Face Logo Full-Zip Hoodie - FEATURES of The North Face Women's Logo Stretch Full Zip Hoodie. 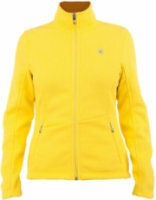 SPECIFICATIONS of The North Face Women's Logo Stretch Full Zip Hoodie. Cotton/polyester/elastane stretch fleece blend is soft and easy to take care of; ribbing at cuffs and hem extends comfortDouble-layer attached hood has a contrast-color drawcord, contrasting color stitching at cuffs and hemEmbroidered logo at left chestWash cold with mild detergent. Tumble dry low. Kangaroo hand pockets keep your fingers warmCloseout. Icebreaker Bliss Wrap - FEATURES of the Icebreaker Women's Bliss Wrap. SPECIFICATIONS of the Icebreaker Women's Bliss Wrap. Icebreaker's lightest weight merino woolRegular fit, thigh lengthBreathableCozy inset pocketsThree different looks in oneFront buttonsA sashNaturally odor-resistantSash closureUltra lightweight 150 gm merinoUltra lightweight for easy packing. 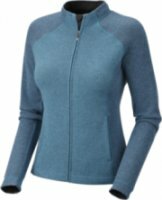 Spyder Endure Sweater - Spyder Endure Sweater - Women's:The Spyder Women's Endure CORE Sweater has a feminine fit, complimentary design lines, and cozy fleece-backed material that make it poised for continued fall, winter, and spring popularity. Features include a reverse coil center front zipper, concealed zippered hand pockets, and Spyder embroidered logos..
Ex Officio Irresistible Neska - Soft and feminine, the Irresistable Neska V-Neck Sweater stands up to all your travel needs. Made from supremely soft chenille feather fleece with just a hint of stretch, the Irresistable Neska V-Neck is lightweight and packable without sacrificing warmth. Quick-drying and wrinkle-resistant this sweater can travel with you on all your adventures. The Neska V-neck has a lovely, feminine fit with ribbed detailing on the cuffs, and contrast color details on the cuffs and neckline. Neve Designs Cami Zip - Neve Designs Cami Zip - Women's: Say au revoir to drab monotone designs and change it up with the Cami Zip Neck. An active fit that’s ready for fun with layered cotton and wool - an awe-inspiring blend of polka dots and stripes..
Columbia Sportswear Cabled Cutie Sweater - When you really want to stay in your pajamas all day, but errands about town are calling, the Cabled Cutie Women's Sweater by Columbia compliments tights and boots for a casual, yet put-together look. Knit from an acrylic and wool blend that resists stretching, it features a low V-neck and open-cable design. Order it a size bigger for a baggier fit or to layer a turtleneck or T-shirt underneath. Spyder Virtue Full Zip Sweater - The Spyder Virtue Mid-Weight Core Sweater is a lighter version of the original Spyder Core Sweater. Mid-weight means it's a little more low-profile, and even better for layering. 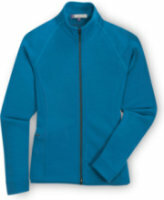 Mid-weight will be great for skiing in cold temps, and it will also provide warmth as an everyday jacket in the fall. 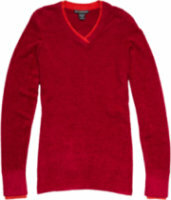 Spyder Core Sweaters are extremely warm; the exterior is a sturdy sweater knit and the interior is lined in cozy fleece. 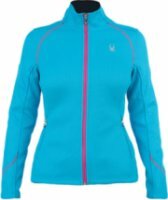 Mountain Hardwear Pandra ElbowSleeve Hoody - The Mountain Hardwear Women's Pandra Elbow Sleeve Hoody keeps you dry during sweaty times. It will also keep your torso smelling nice because this top has odor control. They describe the small front pocket as “functional” but I'm not sure what you would be able to put in there. Maybe a beanie for your guinea pig or something equally as small. It looks cute though. The pocket, not your guinea pig. Ibex Shak Full Zip - Designed to easily transition between the outdoors and the office, the Ibex Shak Full Zip top is a sleek and comfortable wool jacket. The natural insulating properties of wool ensure you'll stay warm while the clean lines ensure you'll stay stylish!Semi-fit100% Merino WoolRaglan sleevesDouble-slider full front zip w/ locking zipper pullConcealed zip hand warmer pocketsMade in the USAHeavyweight Ponte Knit21 micronMachine washable. 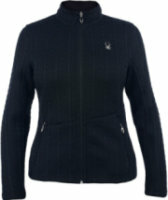 Ibex Juliet Zip Tunic - FEATURES of the Ibex Women's Juliet Zip Tunic. SPECIFICATIONS of the Ibex Women's Juliet Zip Tunic.100% ZQ New Zealand Merino WoolRegular fit2.5 inch collar heightMid-thigh lengthMid-weight jacquard full zip tunicFull zip with double slidersMade in USA6" hand-warmer pockets6 inch handwarmer pocketsOriginal jacquard pattern18.9 micronShaped cuff detail240g/m2Jacquard Double KnitMachine washableElegantly tailored. Ex Officio Vona Scoop Neck Sweater - You'll never get caught out in the cold with the women's ExOffico Vona Scoop Neck Sweater. This sophisticated soft wool and chenille-fleece blend will take you from the airport to the Louvre, from the train to the lodge, and every sight in between with lightweight wrinkle resistance. Ribbed hem detailSubtle two-tone fabricUnique fabric blend gives the warmth of wool and the softness of chenilleLonger length for tunic stylingOdor resistantWrinkle resistantQuick drying. Neve Lila Sweater - Neve Lila Sweater - Women's: 100% Ultra-Fine Merino: Soft, sweet and fit for fun. With the snowflake elements and ottoman stich, Lila is a whimsical winter sweater made of 100% ultra-fine merino wool..